Do you use the video feature on your digital camera? With the advent of video being added to DSLRs, more and more camera users now have the ability to take videos from their cameras – but are we taking advantage of the feature? Do You Use the Video Feature on Your Digital Camera? I’d be interested to hear a little more about why you made the choice you did. If you said no or occasionally – is it because you don’t shoot much video on any device or do you use a dedicated video camera to shoot with? I have a Olympus E-5 that I purchased eight or nine months ago. It is equiped with HD video and I use it all the time and it takes outstanding video. With the E-5 I do not have to carry two different cameras with me when I am on a photo shot. I use a dedicated video camera for all my videography. I must say I initially agreed and this was my sentiment exactly. However, after playing round a bit with my 5D and shallow DOF I’m coming around. You can get extremely professional effects (much much better than with a prosumer video camera). I think video in a dSLR is merely an afterthought. Someone probably started this at [insert camera manufacturer here ] and said "our compacts already have video capability, why not our dSLRs? - The basic shape of the dSLR has not changed much since the early days of the film SLRs. Think of Nikon F2s and the old Canon F1 from the 1960s. They were designed for two handed operation for optimal handling. One to hold the body and the other to zoom or focus manually. - Consumer video cameras have ergonomics suitable for single handed operation, while professional grade ones allow the operator to support the heavy lens barrel and rest the video cam on his/her shoulder. The ergonomics of a video camera is a lot different than that of a dSLR. - People use the live view, flip out LCDs on their videocams. Electronic viewfinders are less useful for shooting video. On the other hand, live view LCDs on dSLRs are more suitable for tripod mounted shots. It's more convenient to frame images via the optical viewfinder. Now you will see that modern consumer video cams can take still images too (albeit at a reduced resolution) and dSLRs capable of video. Nobody buys video cams to take stills and very few amateurs select a 5D Mk II or a 1D Mk IV solely for their video capabilities. Those who explore these high end dSLRs for their video are likely to be using for film projects, most possibly mounted on tripods or Steadi-cam like rigs. The average consumer is more likely not to go through such trouble. They're likely to hand hold their dSLRs for video recording anyway. however when I've tried using mine I cant set the Aperture - its set automatically by the camera. Am I doing something wrong / do I need a firmware upgrade? As I would imagine this would be a basic requirement to achieve controlled DOF. Interesting... I never commented on this when we first posted it, I would have said "no"
Lots of people say focus on the stills and don't waste time with video - I'd almost bet that those people are people that have never used a 7D or 5DMk2 to shoot video - - it is very impressive. If I want to shoot video I will buy a video camera (which I do). I bought my camera to take PHOTOS. I would much rather companies spent the money on making a better stills camera than adding features I don't want. I have a Canon 7D which has video, but I never use it as I do not take video. Much more interested in taking pictures of my travels which I set to music afterwards on my Imac and then have my own travelogue of my life. I am not a video fan, disliking the time it takes to shoot and the time it takes to share the results. My digital camera has made the selection for me by its awkward placement of the switch. On more than a few occasions (that's how we spell the word in the northern hemisphere by the way), I've shot video clips thinking the shutter was malfunctioning. Now, I do use the feature once in awhile when the action makes a still photo just inadequate. I actually wanted to capture a range of stills so I could slect the best, but the quality stinks. I use the film function on my Canon 5D Mk II when I film underwater. It gets really dim some times and I am very fond of the clarity of the image. Especially when I add some light into the water. I use it to record info about a shot. If I take a picture of a kid, for instance, I'll get the parent's email on video, and send them a copy. Other than that, almost never. I only ever use it for family memories. I am seriously considering making more use of it though. I plan to take a video of the scene of a shoot before and after I take the shots. I hope to be able to find more shots that I can go back for! I actually bought a D5000 for video and use my other Nikons for stills. I use a Double R-Strap for two cameras. Sounds over the top but it fits my needs. I live and work in Latin America giving me great opportunities to use both. My Canon T1i has video but i never intend to use it. If I want to shoot video I have a video camera. I use a Flip Mino, so I never even consider my video camera on my blackberry. I mainly take photos of my kids therefore the video feature on the D90 was a welcome addition and the reason why I upgraded from the D80. I'm less interested in quality of video a much more interested in capturing moments. This is what is important about the video feature in the D90 for me. It's handy and the quality is more than adequate. I am a happy man. My D90 has excellent video capability, but you can only record about 5 minutes at a time. I can't think of an instance where I would need 5 minutes of high-quality video. It eats up too much of my memory card. I am using a D90 and so far only use the video feature once to highlight the sound of a mini-hydro when running. I would say having this feature will help me save money and lighten my luggage because i don't have to get a video camera. OK, inspired somewhat to at least check it out, I took out my 5D mkII and (eventually!) managed to figure out how to record video. Liking this idea of the super small DOF effect, I went to set my aperture as wide as possible - 2.8 on my lens. I tried a few things but it seemed to be automatically reset. * Exposure metering pattern (Evaluative)"
You can't set the Aperture? Josh, have you actually seen some of the videos people have made with their $1000 DSLRs? They rival professional video equipment costing tens of thousands of dollars. It's a completely new generation of video recording, making professional quality recording and optics available to the prosumer, without limiting them to video. To be able to go from the incredibly shallow depth of field available in many moderately-priced DSLR lenses to a super telephoto lens to a fisheye lens, etc. you'd have to spend thousands of dollars on a video camera with interchangable lenses, then thousands of dollars on lenses that you can only use to take video. For someone who wants to make professional-quality video on a limited budget, a DSLR is a great option even if they don't want to take pictures. For someone who is already invested in a camera and lens system that wants to get into video, a DSLR that takes video is the only logical choice. So before you claim that the video feature is just a marketing gimmick that camera companies are using to one-up the competition, think about the greater impact that including video in DSLRs is having on the upstart/online/independent film world. I use the video all the time, I find that sometimes it is difficult to capture everything in a photo. The video function then allows for a great overview of the area. (possibly this is just a lack of skill and equipment on my part, but it works for me). I would shoot more video with my D90 if I wasn't limited to 5 minutes at a time. The video quality is amazing and being able to control the exposure compensation and depth of field is great! I have captured video in near darkness using my f/1.4 prime lenses and boosted EC -- I could never do that with a regular camcorder. There's no video on my D60, and I don't miss it. I have a Fuji p&s which I still love and use occasionally. The video capability was pretty decent, although I didn't use it much. It's nice to have it when I want it. Just got back from Uganda and Kenya. Used the video on my Canon 7d frequently. Estimate 16 gb. Did tripod shooting of dancing to a balloon ride at dawn to a series of clips of the elephant who decided to come for breakfast. I have a Canon 5D Mark II that can shoot HD video, but just like an earlier comment, I find it to be a totally useless feature. I wasn't interested in the video capabilities of the camera when I was considering purchasing it. I was interested in it's capabilities as a high-end still camera. I don't shoot much video anyway, but if I did, I doubt I would use my Canon to do it. I would purchase an HD camcorder. I'm also in the 5DmkII and never use it/don't want it camp! Perhaps one of these days I'll have a look see if its any real use. My husband and I don't have use for a camcorder. When we travel, though, we like to shoot a quick video clip as we get to a new location. It gives us a shot of ourselves on vacation and allows us to identify the location, which makes it super easy to tag photos after we return home. I usually attend dance conferences and I like to use my camera to take clips of the classes - of specific dance moves. I currently use a Canon Powershot G5 which takes very small videos of poor resolution that last only 3 minutes. I plan to either purchase an actual video camera or invest in a nice DSLR with better video capabilities. I just dislike the idea of carrying around several types of equipment so a DSLR that can also do video is very appealing to me. Never use it. I wish the manufacturers would drop the video feature and concentrate on improving features that still photography would benefit from. Don't shoot much video, but think the upgraded Canon Rebel (since I have the XSi) video feature would be neat and I would use it a lot. I like everyone else fell in love with Vincent LaForet short promo films of the 5D Mark II. However after purchasing one myself and trying to shoot video with it, I soon learned that it was almost impossible to do anything that even comes close to what he did. It is just too impractical for any commercial use. I am sure that Canon loves all the attention that their cameras are receiving but this is not how it was intended to be used and nor should it be used this way unless you are a photojournalist covering a news story and just need some quick video to go with your shots. I'm a photographer...period. If I want video, I'll buy a video cam. Frankly, I'm of the mind that less is best. All these gadgets get in the way of true photography. The gadget market is geared to get all those "point and shoot" users to upgrade to a DSLR. I bought my latest p&s - Canon SX20 - mainly because it has HD video capability and a 20x zoom. It is smaller than a DSLR and therefore lighter. One big advantage is being able to take video or still just by pressing the appropriate single button, whatever camera mode you are in. Not sure why people are worried about using up memory space or battery power. Either get spares for each or use a bigger card. A tripod is essential for me unless I am moving around as I have a slight tremor - Gorillapod is very handy. Love taking still photos and am also hooked on video for those extended moments, for the additional sounds and for the spacial visualizations not possible with stills... Stills and movies complement one another. Canon videos upload at the same time as the stills so no prob there. People expect to use a dedicated imaging program if they want to "do" things with their still photos - same goes for videos and there are plenty of programs available too. Why not start with the simple Windows Movie Maker? It used to be built in to the Windows systems - I wonder whether Vista and Windows 7 have retained it? A wonderful introduction to using movie compilers in general. PS - need not shoot videos just for entertainment; if I felt my horse was "limping" a short movie allowed me to examine his movement more closely... Same goes for aiding athletic technique and so on. a small Canon SD1000 that is with me at all times. I put in a 16G SD card. I have 2 grandkids and a funny yorkie that I shoot all the time. I have tons and tons of 30-60 seconds videos of them. Sometimes I find it's easier to take a video than get that perfect still shot. diving board, or bowling 2 balls, or just singing happy birthday to their Pappy. Even hubby wants his big fish video'd. I find most of my videos don't have to be much longer than 60 seconds. BTW, I used to have a HandyCam, but used it maybe a half-dozen times in the first year I owned it. My brother borrowed it all the time, and eventually just I let him keep it. I guess the reason I didn't use it much was because it was klunky to carry around and any of the vid clips I ever capture don't require much more than what my digicam (Canon SD630) or smartphone (HTC TP) is capable of producing. Still, I don't take a lot of vid clips, so I'm sticking to my story that I only occasionally use the video feature on my camera. I have been thinking about upgrading my Canon 30D for a 7D. I have to convince my wife and be sure myself that I'd religiously use it to justify the expense right now. I bought my camera (Panasonic GH1) exclusively for the video features and it came with a free 12MP camera attached. I'm a filmmaker first and since this is my first SLR, I'm "still learning." The good news is I'm a much better filmmaker for studying with your guys in this (surprisingly) very different world. My composition and lighting have improved noticeably and I'm much more comfortable with the more advanced techniques like iso choice and depth of field (practically non-existent in digital video). Thanks, all. I have two video-capturing devices: my smartphone and my digicam. I'm one of those that hasn't taken the hint to always carry your camera everywhere, so that leaves me with my smartphone (in that case, I guess I always have a 3.0mp cam with me, then?). Anyway, I occasionally shoot vid clips with my smartphone because it's handy, but I can't always upload directly if the file size is excessive, it's a bit klunky to get fired up and rolling, and it's also a drain on my phone battery. I am old fashioned, a camera is for still shots and a camcorder is for movies, I have one two of each. I love my 7D, and it takes sick awesome video! (Notice I said video, not audio - need an external mic for quality audio) I don't use it as much because I don't have a market of clients that desire/request it. I would love to get into it more, become more proficient in taking video, and have the software to edit it and make it more presentable instead of just it's raw state. But all in good time. I have an EOS 450D and I'm glad it doesn't have video recording. Unfortunately all the newer Canon dSLRs, from the just released EOS 550D (aka Rebel T2i) to the EOS 1D Mk IV all have video to keep up with its competitors. However, I don't mind shooting video clips with my old PowerShot S3 IS (it has built-in stereo microphones) and its USM zoom doesn't pick up the zoom mechanism noises. The S3 IS is small and lightweight while its very awkward to handle my dSLR with heavy lenses for video recording. I sometimes shoot short clips with my Canon G11 and Sony Cyber-shot DSC-W150 compacts. Although some may argue that the inclusion of video recording in a dSLR free them from carrying a separate video cam, it's obvious that the shape and ergonomics of the dSLR itself is ill suited for handheld cinematography. All the consumer video cams you see since the 1990s are designed to be wrapped around the palm of your hand. You can get away with shooting video with one hand, but with dSLRs you need both hands to keep it steady. And let's not forget that zooming is always manual with a dSLR while camcorders are equipped with silent motorized zooms. I've read articles of professional photojournalists using a 5D MkII strapped on their chests with Steadicam attachments and film makers using the 5D Mk II mated to cinematography lenses and bound together with a bizarre looking rig, but they are exploiting the camera's video capabilities rather than demonstrating the practicability of using such cameras for making movies. I wish camera makers would invest their R&D into making better S/N ratio sensors, wider dynamic range and faster AF speeds rather than video recording. I'd rather have my hard earned money go into better image quality in dSLR than video. Video capability in P&S cameras are OK, but is a major misdirection with dSLRs. If I wanted to shoot video big time, I'd rather get one of Canon or Sony's full HD camcorders. They're not even as expensive as the Canon 7D. My XSi doesn't have video, thank God. I has a Powershot S60 that did have video, which I didn't use that often. 1) If I want to take videos, I'll buy get a camcorder. It's a better tool for the job. You can get a Flip for next to nothing and you'll get better quality and reliability to boot. 2) Most of the video quality on DSLR cameras is questionable at best. 3) Camera lenses aren't really good for taking video. 4) Making a good DSLR into a video camera (aka the "smartphone" analogy) just compromises other functionality. I would rather see that energy put into adding video be put into image processing, lower noise, larger sensors, etc. that are good for DSLR functionality. I have video on my camera but that's just not how my mind works. I see something and I think of light and angle for photos not for video. I never even really remember that I have that option on my camera. When my husband and I go out I have the camera and he has the video camera. My D300s has video but I have a Canon HFS100 for HD video at 24mbit 1080/30p. And the canon ways a LOT less. I answered with my intentions. I have a Canon 7D on order and plan to use it in the video mode as a replacement for my aging miniDV camcorder for most of my video shooting. I have a 40D, so no video there. I've used the video on my S90 on occasion. I agree with a previous poster. Video on a DSLR is a bad idea. It causes the sensor to heat up, thereby increasing wear and tear, and compromising things such as colour. Continuous focussing is also an issue. And video (esp. HD) takes up a lot of space on the memory card. I have a dedicated video cam that I use when I want to take more than a few minutes worth of video. I only use the video in my DSLR (or my point-and-shoot) when it's a spur-of-the-moment, spontaneous event that needs audio to be complete. My camera does have a video feature and I do use it occasionally, but that wasn't even a factor in choosing my camera. I use the video to help document some things like the whirpool caused by our last flood. I use a dedicated Canon video recorder for my video. I work as a volunteer at a public TV station and have help with editing there. I find that I have to use external mikes and accessories not available on my DSL camera. I do use video in making slide shows with ProShow software. I use the video on my camera whenever i get a chance which isnt too often. I have an iphone and i love the quality it just takes a few secs to get setup before I can shoot which causes me to miss the moment sometimes. Use a dedicated video camera for most video but do use the one in the Dnikon and olympus pack-about, and they both work pretty good. The Olympus is better because of the sound which has been great. My current "best camera" is a Nikon D80, which doesn't have Video. My "always" with me camera is a Fuji, which does...but I use it very rarely. I might make a short clip if I'm photographing an interesting musical performance (i.e. a snake charmer; street musicians, etc.). I do not have a separate video camera. I'm more interested in capturing that "one moment in time." Whenever I shoot video it's usually a pre-planned thing (like my photography FOCUS series) so I rely on my FlipCam. That's the primary reason I picked up a 7d when it came out: the ability to also do video. I've been looking for a good way to add video to what I do (weddings/portraits/illustrative), and this is ideal. Yes. I have a Canon SD1100 point-and-shoot that has the video feature and it takes far better video than my video camera. It's light and easy for on the go. Doesn't take long to load up so I don't miss my 2yr olds silly moments. I bought a 8GB SD card for it so it has plenty of space for at least an hour of video. Call me an amateur, but I love my video feature. My camera doesn't have the feature, but if/when I upgrade I won't go out of my way to get a DSLR with video (and will probably, in fact, actively avoid it). I just feel it's a waste of a camera's resources; if I were serious about video, I'd get a serious video camera -- not slap one on my still camera. Bleh. All that said, I used to have a P&S that had basic video (in short bursts, like only 15 or 30 seconds at a time or something, and the quality wasn't spectacular). I did use that occasionally. But a gimmicky feature like that seems way more at home on a P&S than on a DSLR, in my opinion. I use the video function only rarely, usually when I'm with my grandchildren, which isn't often enough. I usually forget that my camera even has video capability! I've had my 7D for a while now and I have yet to use it's HD video mode. Why? a) don't really care for video much and b) dont have any decent software to use if i were to. I use the video feature on my Fuji S5200 frequently for short clips of the kids and other "snapshot-like" stuff. The quality of the MJPEG encoder is pretty good, but the files are large. no---its NOT a video camera !!!! My Canon 40D doesn't have video, but I'm in the process of buying a 7D. Still, I doubt I'll use the video. My Canon G10 has video, but I think I've only used it once as a test. One of these days I'll buy a good video camera, possibly before my next road trip. Canon G9 built in time-lapsed video function is the only video setting I use because other ones doesn't have a video compression acceptable (big file sizes) and optical zoom is disabled. But, I'd like have both great image and video quality in a single compact camera. Short answer is no. My present camera (a D40) does not have the feature, thankfully, and I would not buy a second or upgrade body with video capability regardless of how wonderful the feature list is. I suppose it may be seen as stick in the mud attitude, but I simply don't believe in the one size fits all, convergence mania. One tool to do everything and do it well? No such thing. I will look for the models that do one job (still photography) well, and if they can't be found anymore then it is time to leave the hobby of photography. I have a video camera and i am using that most of the time. If anyway it is not with me and I need to take a video shot, I am using my DSLR for that time only. I have a D90 but I've never used the video function on it. If I don't want to make short videos I use my Panasonic TZ7 but videography really doesn't float my boat - sometimes just nice to film the dog running around the garden like a lunatic! I have a canon S5 that I occasionally use for video. It's not hi def. The Xti I use does not have it, but I wouldn't want it for that anyway. I love the video feature on my Canon PowerShot S3 IS, but I don't use it very often because the video files it creates are... HUGE. But other than that, it does a pretty good job, and since I don't really care about super-high-quality video, the 640x480 @ 30 fps that it can do is just fine for any sort of video I'd care to capture. It's quick and easy to use, and for me at least, it's more than "good enough." If I was really serious about video I'd probably use something else like a dedicated HD video camera or something, but I'm not, so having the video built into my camera is very nice - one less thing to carry around! As a missonary we must report to supporting congregations. I find that a single picture does not tell the whole story, but supplemented with video makes all the difference. b) I would not even touch the video function on the camera. 1. Video taking requires the mirror to be flipped up. So what is holding the mirror up and would the mechanism deteriorate over time? 4. Photography Lens not entirely suited for video taking due to constant focusing. Main reason not to use is (1. )...i would want my camera body to last as long as possible and lesser trips to the servicing centre (not cheap to fix the shutter mechanism). I have a D90 and bought it mainly for its high ISO capabilities. But, I do use the video from time to time. At times, moments seem better-captured with video than with still photos. Now that I have a tripod, shooting video with the D90 is easier, since I can now keep the camera steady while zooming and - hopefully with practice - while panning. And if I can learn how to edit videos in a somewhat decent manner, I suspect the videos from the D90 would turn out just fine for me. Neither of my DSLRs can shoot video and I'd prefer to keep it that way. My P&S Canon D10 can shoot video and I've used it a few times. To me it's a nice bonus but certainly would not be a factor when deciding which camera to buy in the future. I bought my DSLR to take stills. If I ever get the urge to shoot video better than what my P&S can do (which is a feature of that camera I rarely use), I will buy a dedicated video camera. I'd rather have a DSLR with more improved features, including expanded dynamic range, a sensor that can accurately capture all colors, and enough resolution for sharp enlargements to 16"x20" size. I've a Canon T1i, has video, but I've never used it. I've a little videocamera and I always work with it. I've used the Canon for video, only one time, 'cause I didn't want to leave home with both cameras. I think it's not a necessary feature, in general professional photographers have this kind of cameras, and they're a work tool so I think they didn't used to record with it. I don't shoot video nearly as often as I shoot still images, but when I do, I have a dedicated camera I prefer to use. I said no in the Poll, although that is not entirely true. When I first got my 7D I tested out the video just to see what it was like. Since then I have never used it and have no intention of using it. I have some videos on my computer that I took with my P&S but I find that I never look at them. I prefer just to capture the moment with a photo and nothing more. If I wnted a video camera, I would have bought a video camera! Well, it's appalling that I don't use my video because I have a Canon EOS 5d mk II but I've so busy with it, that I've had no time to sit down and learn the video option ... even though I hear it's good. So far, I consider myself more about the single images than a series of moving images. Still, I was a bit mortified to realise that so long after buying this exquisite machine, I still haven't done video. My new Canon 500D has HD video capacity, but since there is no adaptive autofocus when changing the zoom while shooting, I find it it severely lacks where any cheap video camera can do a wonderful job. I don't have a camera that takes video -- yet. I plan on purchasing the Sony A700 replacement that was announced as a "concept" at PMA 2010 as soon as it is released, since it is definitely going to take AVCHD video, which is the gold standard of HD video recording nowadays. Plus it will work with all the lenses I have acquired for my A200 over the past year or so. The only downside is my 20 GB of Compact Flash memory cards will fall by the wayside and I'll have to upgrade to SD cards. I am going to regularly use the video feature of this camera, since I don't currently own a decent video camera but want to be able to make videos for my telecom projects, with my improv and sketch comedy troupe, and just for fun. I already bought an audio recorder, the Zoom H4n, in anticipation of getting the camera which I have been hoping for and dreaming of for months. Sorry if this seems like rambling but I am incredibly excited for this A700 replacement to be official and I just can't stop thinking and talking about it. Hurry up Sony! Take my money, please! My Nikon D90 has this function, apart from tinkering with when new I have not done anything seriously. I can see me using it in the future if the situation called it, the problem is I would probably forget that I have the capability. Like my visit to Niagara Falls. I use a G10 actually and some times like to use the video function to show for example how large the grand canyon is or how nice a waterfall is. But I made just a few videos until now. I don't want to make long videos as I have to cut them and this is to much work. 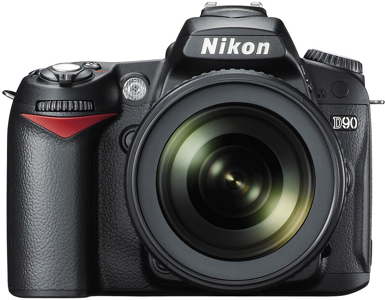 I shoot a Nikon D90 and purchased it partly because of the HD Video option. I do use it occasionally but, while the quality of the video is good, the fact that it doesn't continually focus like a camcorder would limits your options. Still... nice to have as an option! I have it on my K7 but would only use it if a rare occassion I wanted to record happened (e.g. a child's first steps) - It hasnt happened yet! No, because auto focus is crap. (Canon 5D mk2) I didn't buy it for the video either. But it would be nice if I could at least get something useable out of it for family stuff. Actually, you probably could if you can do manual focus and always use it on a tripod. I have a Nikon D90, upgraded from the D40, love both cameras. I did not buy it for the video, I have used it 4 times on one day since November 2009 only because I was shooting the villa that we stayed in in Bali and I felt that it gave a better representation in video walkabout rather than many still shots, which I took anyway. Not a big fan of the video but came in handy that day, I found it awkward to use holding it out front looking at the screen when I have been used to using the eyepiece for photos. i really don't need video on my DSLR, but i do have it on my compact G10. i use it, but not much. it's nice that it's there. i don't want video on my DSLR. I got a Nikon D5000 with HD vid but I am not a big fan of using a lens camera for video. I did play with the video mode when I first gotten my D5000but the results weren't ideal. Whenever I want to do videos, I will take out my trusty "sidearm," a compact canon sd780 P&S for video. It's just easier to move around, zoom, and focus with it. Occassionally... by that i mean I've used like 3 to 4 times since I bought my camera 3 years ago. Nikon D90 720p all the way, what a fun little twist of an idea . My 40d does not do video, and I am not really interested in upgrading just to have that capability. My next camera will have it, but I don't see myself really taking advantage of the feature. I prefer still over video. My D40 has no video capabilities, but I still make videos using it! It's actually a side-effect of the process I use to stack photos (combine multiple photos into a single one, usually for star trails) -- by taking many photos over a long period of time, you have everything you need for a basic (but low-frame-rate) video. For example, Sunset over the Portage Lake Lift Bridge took about 90 minutes to shoot. It's not smooth, but it is kind of fun. The only reason why I shoot video is because of my D90's video capabilities. Whether HD or not, being able to shoot with whatever lens I have on is amazing. My Canon T1i has video, but I've used only sparingly, and haven't posted any of the results. Partly because I'm not a videographer -- I'm more about the photography, and partly because the video mode on the T1i, while cool, doesn't offer a lot of control, and it eats memory that could be better used for photos. That said, the video quality on the T1i is quite good, but I just haven't played with it much.